Sep 17. 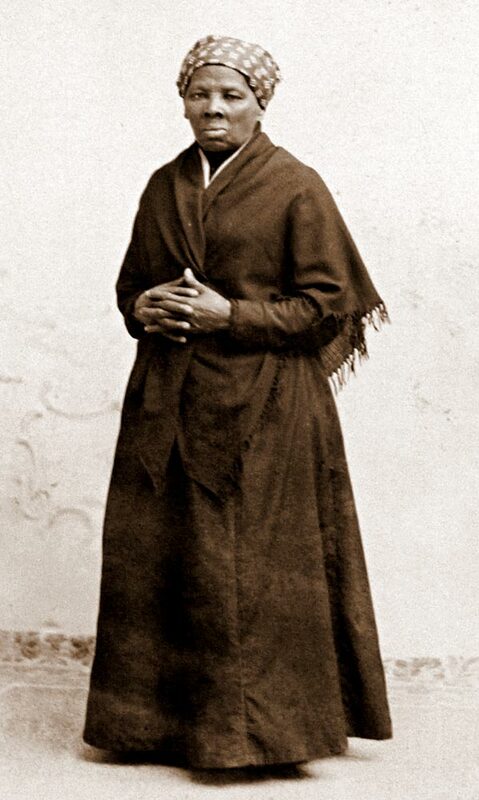 An advocate for anti-slavery and women’s rights, Harriet Tubman and her brothers escape from slavery. Sep. After years of confrontations between slave states and free states of the North, the Compromise of 1850 is passed. May 21. The Sacking of Lawrence is an event that precedes the Civil War. Because Lawrence was initially established by settlers who opposed slavery, 800 southerners (who favored slavery) marched into the town of Lawrence to make a statement. May 24. John Brown, an abolitionist advocate, along with other settlers kill 5 settlers from the north in what is known as the Pottawatomie Massacre. Similar episodes in Kansas like this continue before the Civil War. Mar 4. 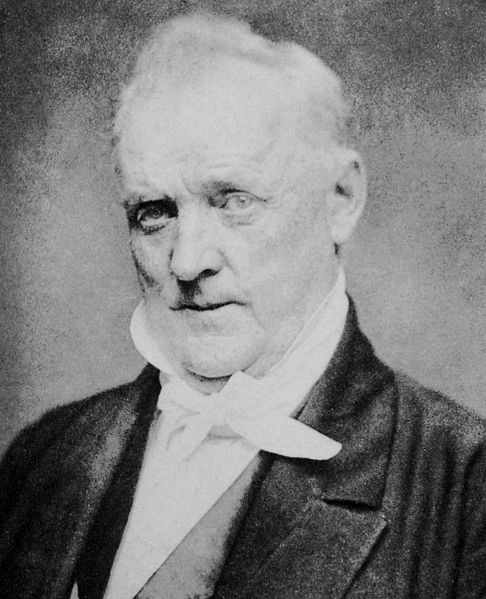 James Buchanan, former ambassador to the UK, becomes the 15th president of the US. Mar 6. The US Supreme Court decides a ruling that slaves are not protected by the US Constitution, the case is known as Dred Scott v. Sandford. 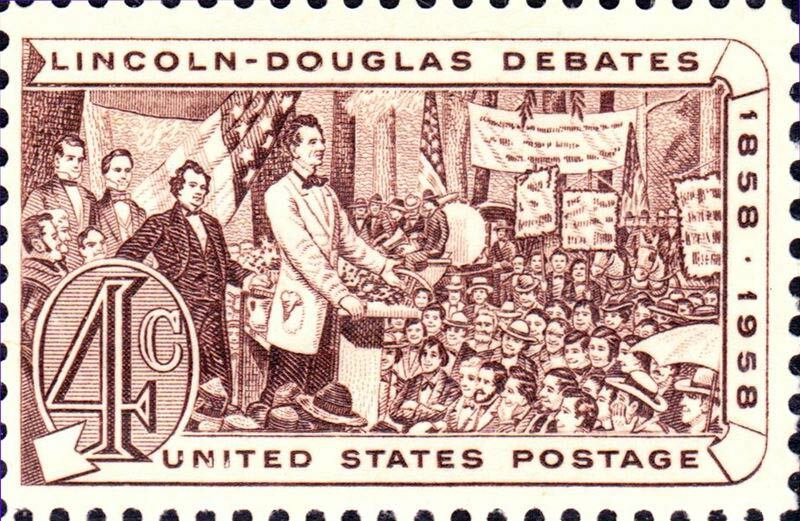 The Lincoln-Douglas debates take place, the varying theme of the debates include the topic of the expansion of slavery across the country. Dec 2. 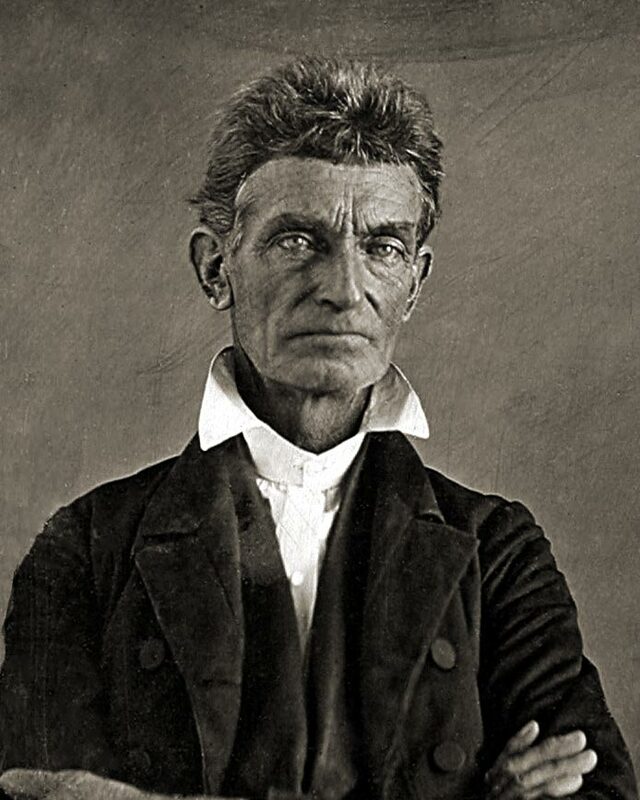 Abolition leader John Brown, is hanged in Charles Town, West Virginia for treason and murder. Apr 3. 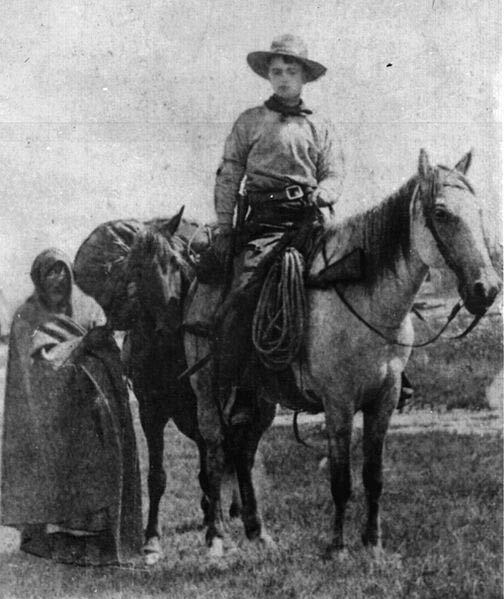 The fastest way people received and sent letters was the Pony Express. The Express was instrumental in allowing the Union Government to communicate with California prior to the start of the Civil War. Nov 6. 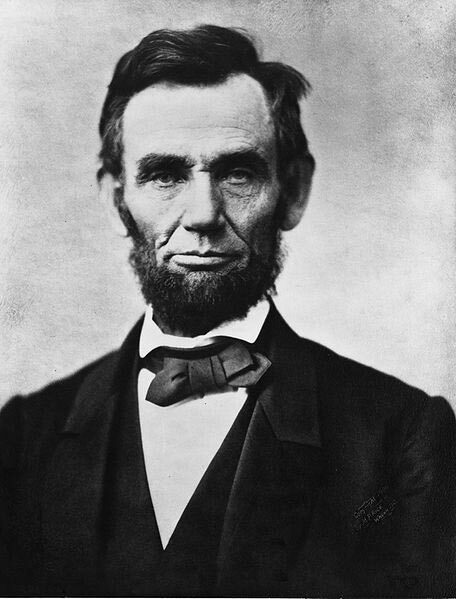 Abraham Lincoln, a veteran of the Illinois militia, is elected as the sixteenth president of the United States. Dec 20. Because Abraham Lincoln is elected president, South Carolina convenes for a special convention and votes to secede from the Union. * The United States slave population in 1860 numbered 3,950,174. Three million are in southern/slave states. Jan. The southern states of Alabama, Arkansas, Florida, Georgia, Louisiana, Mississippi, North Carolina, Tennessee, Texas, and Virginia join South Carolina in Seceding from the Union. These eventually form the Confederate States. Feb 4. The Confederacy is formally formed. Mar 4. Abraham Lincoln is inaugurated as the new president of the Union. Mar 11. 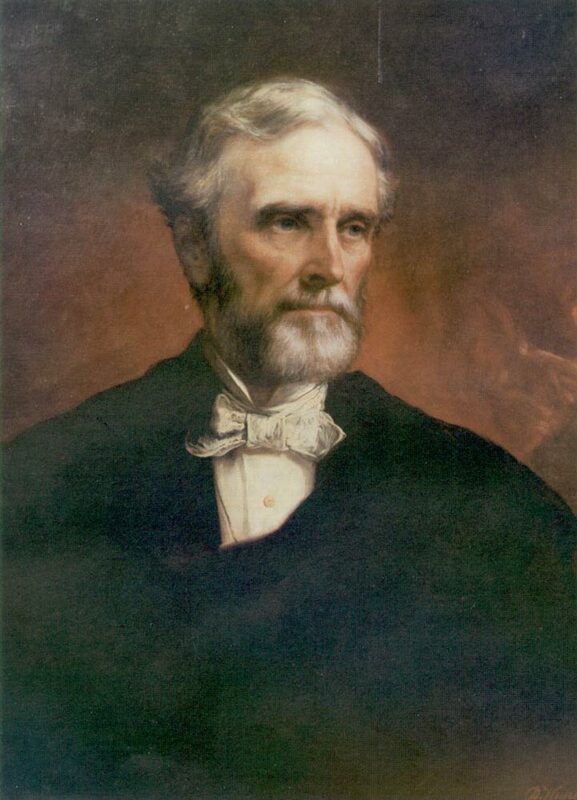 The Confederate Constitution is passed and elects Jefferson Davis as president. Apr 12. 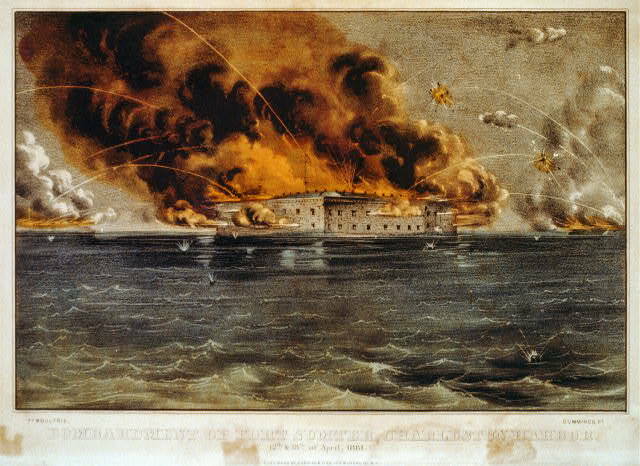 The beginning of the American Civil War takes place at Fort Sumter in South Carolina. Confederate troops captured the fort allowing Union troops to leave. Apr 19. In response to the capture of Fort Sumter, President Lincoln order the blockade of Confederate ports. 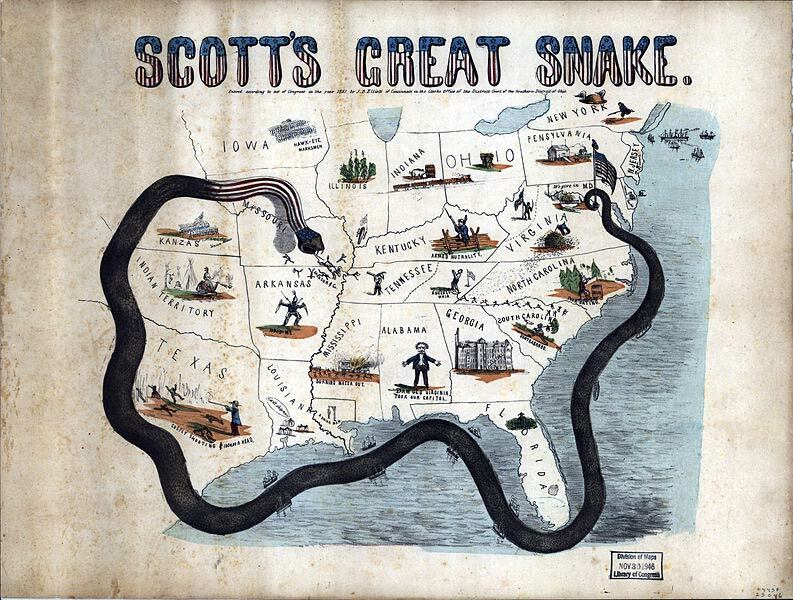 General Winfield Scott called this the Anaconda Plan. May 21. The Confederacy names Richmond, Virginia as their Capital. Jul 21. First Battle of Bull Run (aka First Battle of Manassas by the Confederates); it was the first land battle of major proportions in the Civil War. 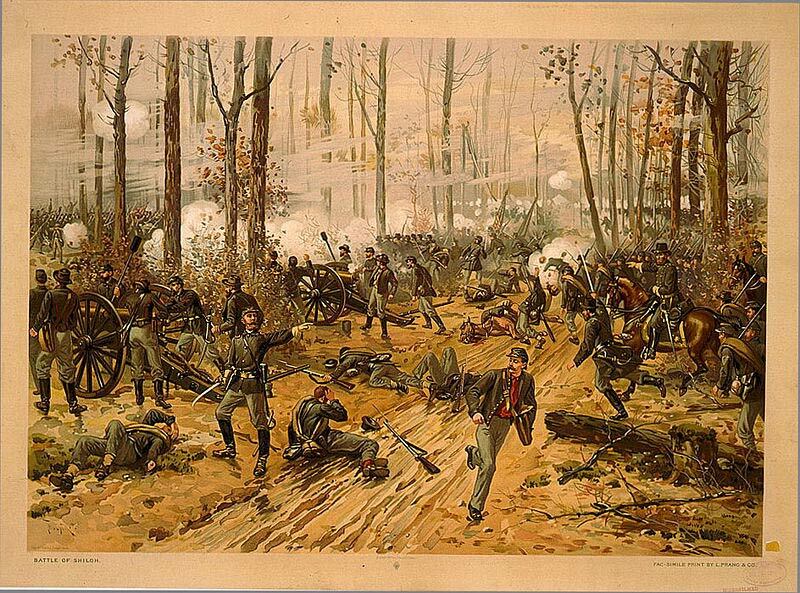 The battle took place near the city of Manassas in Prince William County, Virginia. There were more than 2800 casualties at this battle. Nov. Lyrics to “The Battle Hymn of the Republic” is composed by Julia Ward Howe in Virginia during a review by Union General McClellan of the troops. Mar 8. A naval battle pitting the Union and the Confederates, the Battle of Hampton Roads take place near Sewell’s Point in Virginia. 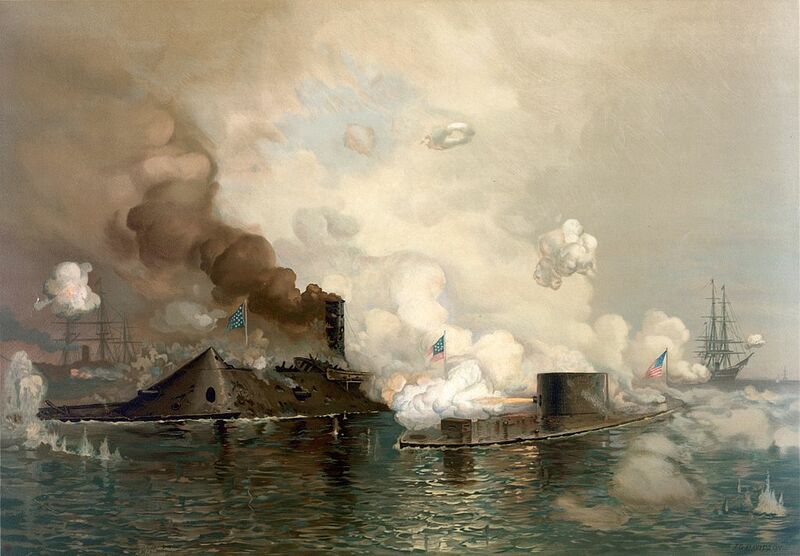 The Battle featured the ironclad battleships Monitor and the Merrimack. Mar-Jul. Peninsular Campaign: the Unions first large scale offensive in the Eastern theater commanded by George B. McClellan. 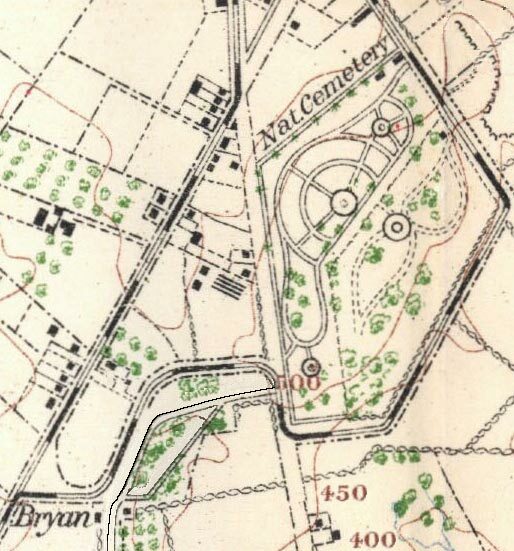 The operation involved 121,500 men, 15,000 horses, 1,150 wagons, 44 artillery batteries and tons of supplies and equipment. Apr 6. Confederate and Union soldiers engage in a fiercely fought battle in Tennessee. Known as the Battle of Shiloh, it resulted as a victory for the Union. May 8. A campaign through the Shenandoah Valley led by confederate Thomas “Stonewall” Jackson known as the Battle of McDowell resulted in a victory for the confederate side. Jun 25. 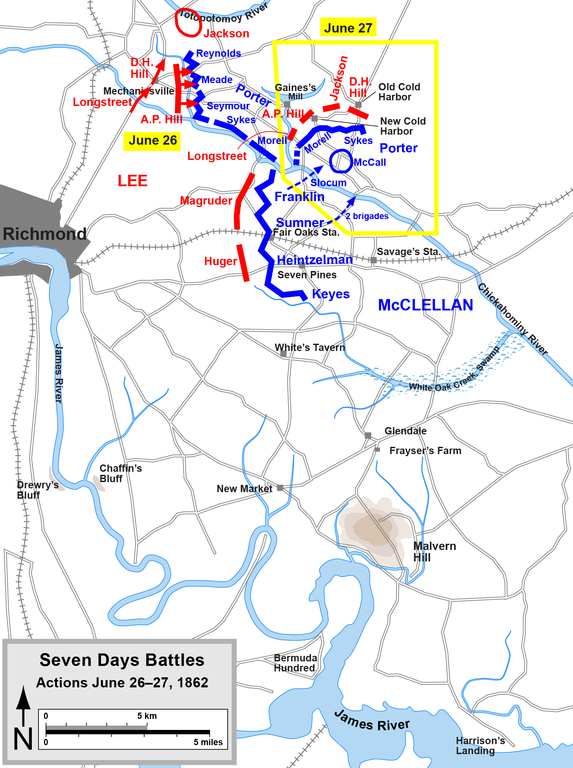 Although outnumbered, the confederate win the Seven Days Battles in Richmond, Virginia. 92,000 strong under Robert E Lee of the Northern Virginia army best the Union who had 104,100 soldiers. The confederate sustained more casualties than the Union. Aug 17. Bands of Sioux engage the US troops concurrent with the Civil War. Because of violations by the US on treaties with the indians leading to hardships, the Dakota War of 1862 take place. Aug 28. 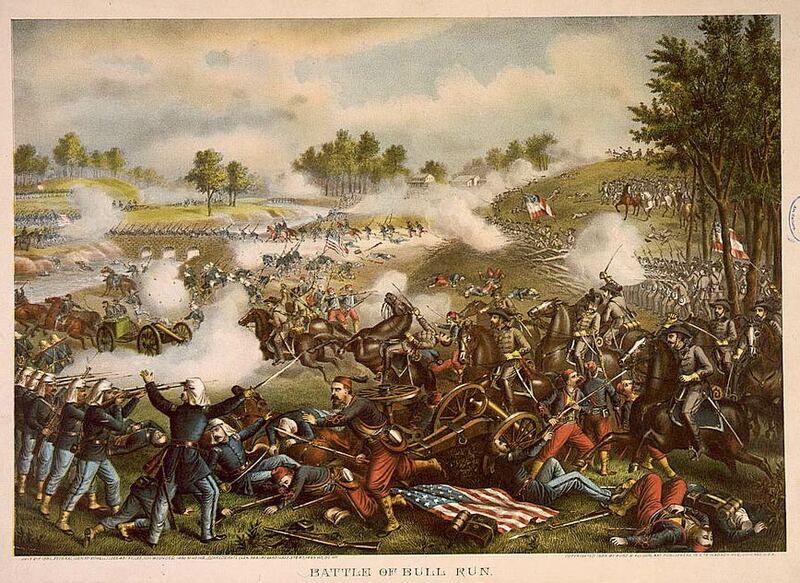 Second Battle of Bull Run. There were 62,000 Union soldiers when the battle started, 10,000 were killed and wounded. The Confederate had 50,000 out of whom 1,300 were killed and 7,000 wounded. Sep 17. Battle of Antietam. 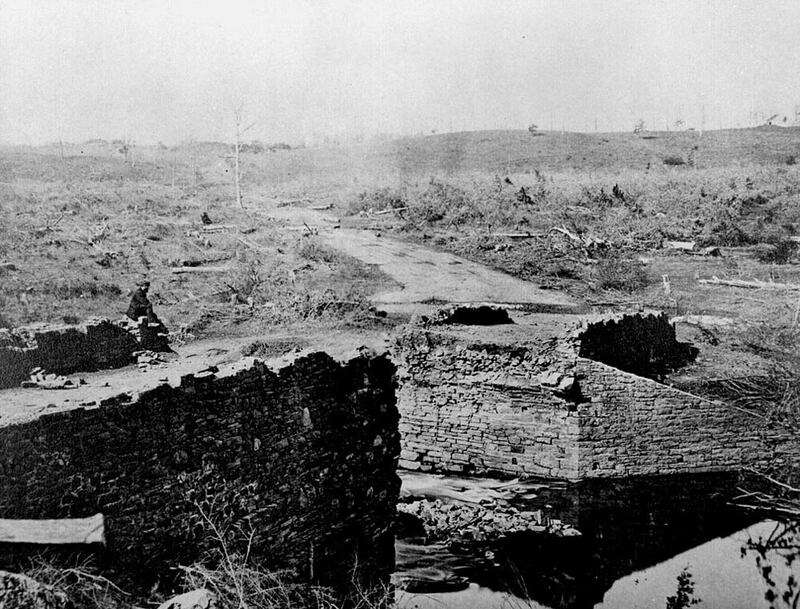 This battle was fought near Sharpsburg, Maryland and the Antietam Creek. 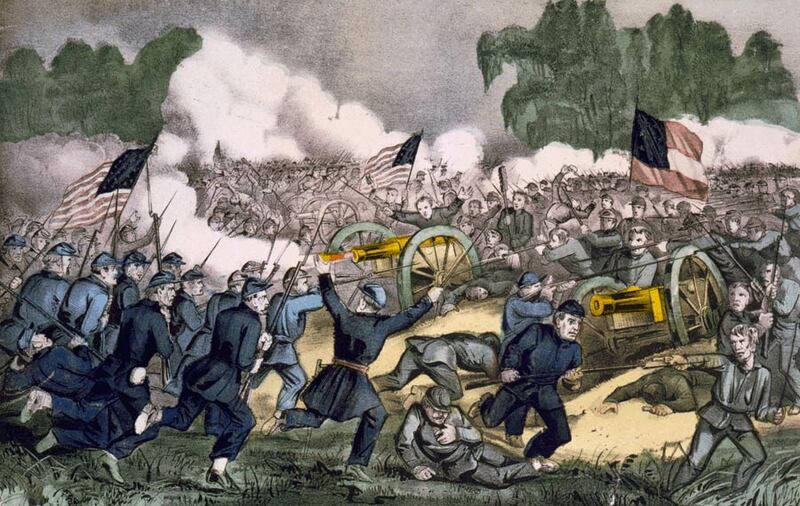 It is considered the bloodiest one day battle of the Civil War; there were 23,000 casualties from both sides. Sep 22. In the hopes of ending the war, President Lincoln makes an announcement that he would emancipate all slaves. Oct. Battle of Perryville. 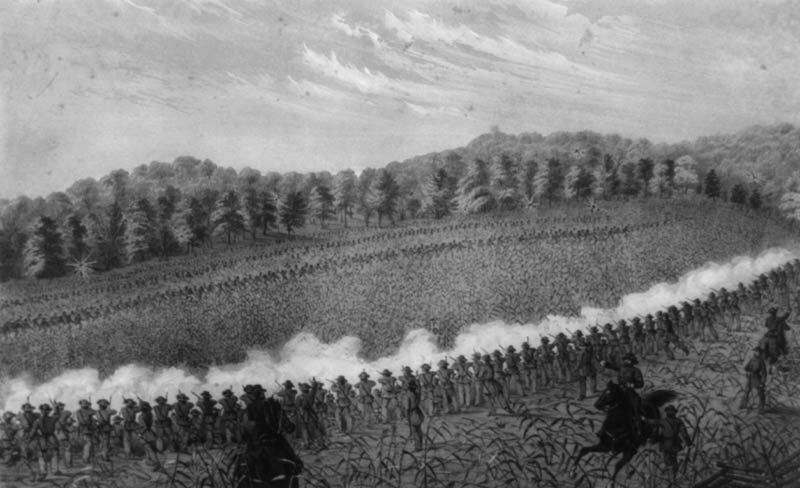 This battle took place in Chaplin Hills which is west of Perryville, Kentucky. It has also been called as the Battle of Chaplin Hills. Dec 11-15. Battle of Fredericksburg. Fought in Fredericksburg, Virginia between the forces of General Robert E. Lee’s North Virginia Confederate Army and Major General Ambrose E. Burnside’s Union Army of the Potomac. There were 12,653 casualties with 1,284 killed on the Union side; the Confederate army suffered 5,377 casualties (608 killed). Dec 31. Fought in Middle Tennessee, the Battle of Stones River is one of the major battles that had the most casualties from both sides. Jan 1. Using his war powers, an executive order is signed and issued by President Lincoln that freed 50,000 slaves right away. 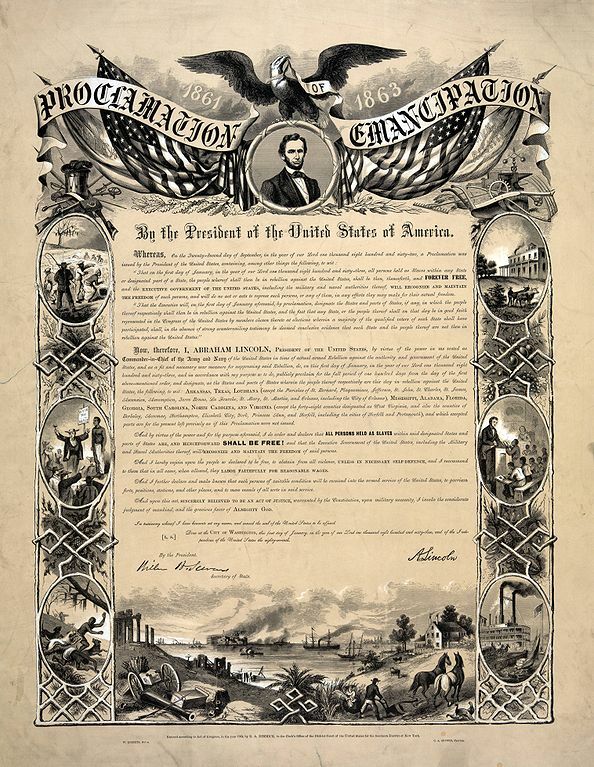 This is better known as the Emancipation Proclamation. As the Union advanced, more than 3 million more slaves were freed. Mar 3. There were difficulties in recruiting which led to President Lincoln passing the Enrollment Act requiring men between 20 to 45 years of age to be drafted. One could avoid service by finding a replacement or paying a fee. Apr-May. 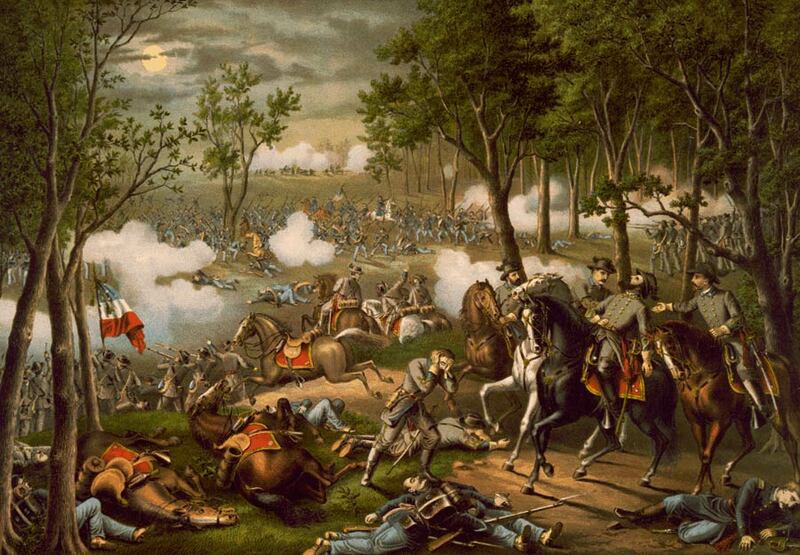 Battle of Chancellorsville. A major battle in the Civil War that took place in Spotsylvania County, Virginia. Despite a Confederate victory, it was dampened by the loss of Lt. General Thomas J. “Stonewall” Jackson, General Lee’s right hand man. May-Jul. Siege of Vicksburg. 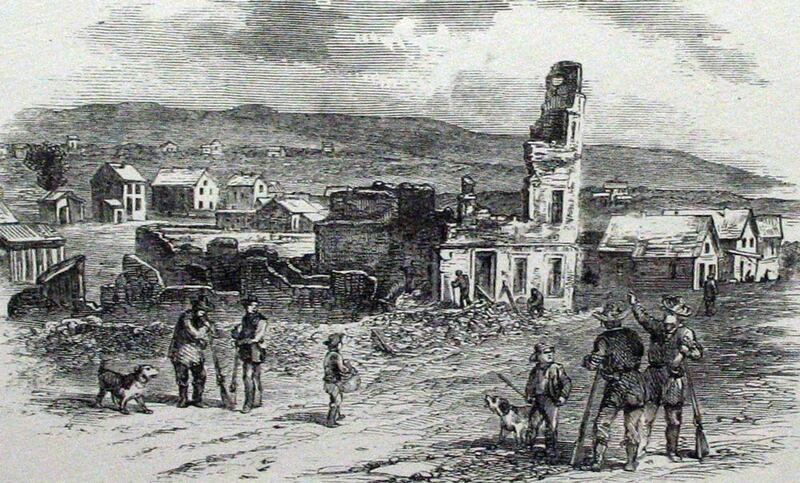 Army of the Tennessee led by Ulysses S. Grant drives Lt. General John Pemberton and his confederate forces back to their defensive lines in Vicksburg, Virginia.
. Fought in and around the town of Gettysburg, Virginia, this battle had claimed the most number of casualties during the Civil War. An approximate total of 165,620 Americans fought at this battle over a three day period. There were a total of 7,863 killed. Sep 19. The last of the Confederates win was the Battle of Chickamauga, fought in Georgia. General Braxton Bragg led the confederates while the Union was under the command of General William Rosecrans. Nov 19. President Lincoln delivers a speech in the middle of the Civil War. It is one of the most rehearsed and remember speeches in US history, the Gettysburg Address. He delivers it at the Gettysburg National Cemetery. Mar 9. 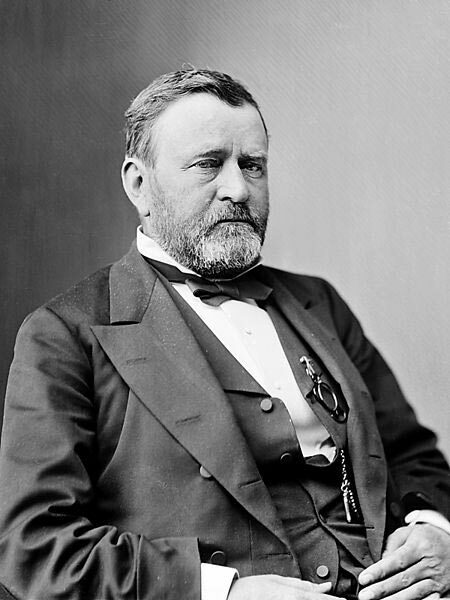 Ulysses Grant is appointed general in chief of the North by President Lincoln. May 5. Battle of the Wilderness. The battle pitted Ulysses S. Grant and Robert E. Lee. This was literally a battle of wits, one general trying to outsmart the other. Casualty estimates reach 30,000 from both sides. May 10. Battle of Spotsylvania. Part of the Overland Campaign, the battle represented another example of the fierceness of the Civil War. Total casualties numbered at 32,000. Again, General Lee had the upper-hand during the skirmishes. Jun 20. 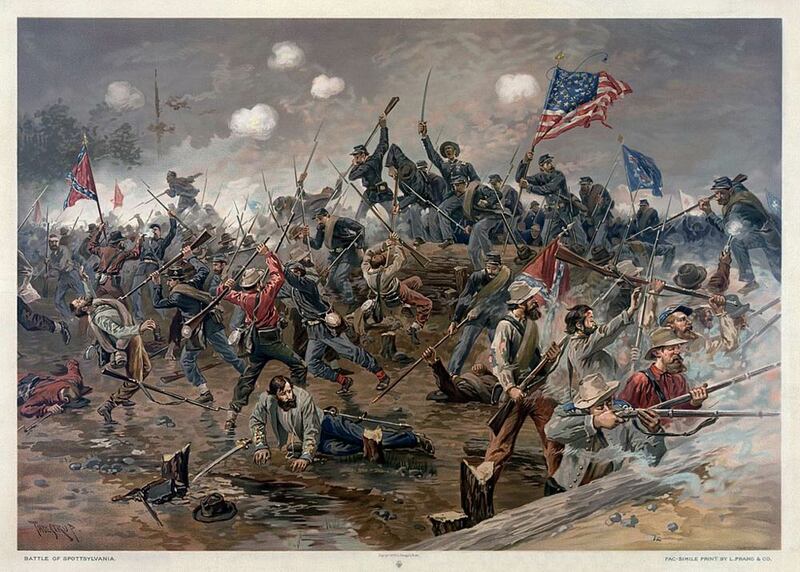 Under Ulysses S Grant, Union forces engaged in a nine month trench warfare known as the Siege of Petersburg. This took place in Petersburg, Virginia. General Robert E Lee eventually yielded when supplies for his troops were cut by the Union using a thirty mile stretch of trenches. The siege ended in April 1965. Nov 8. Abraham Lincoln is re-elected. Nov 15. 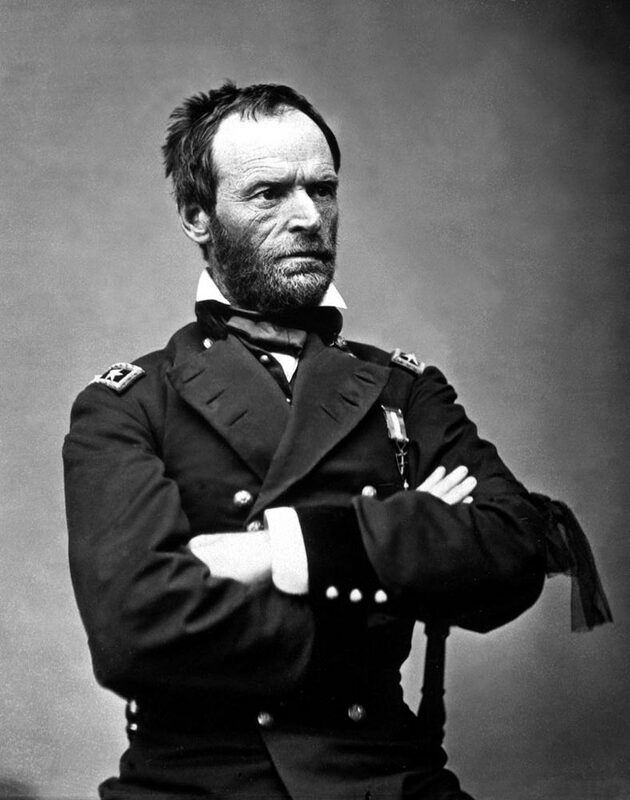 Major General William Tecumseh Sherman leads the Savannah Campaign in Georgia. This campaign is said to have “defied military principles…” for the reason that Sherman was able to inflict physical and psychological damage, incapacitating the area’s capacity to fight back. They occupy Savannah Georgia by December 21. Jan 31. 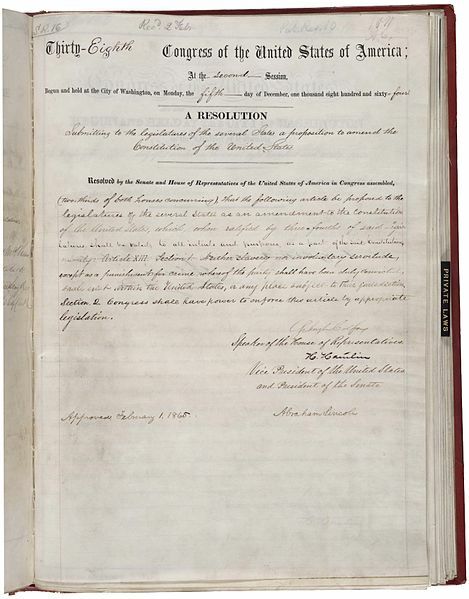 The United States Congress abolishes slavery by passing the 13th Amendment. Feb 6. General Robert E Lee is named as General-in-chief of the Confederate army. Mar-Apr. Appomattox Campaign. 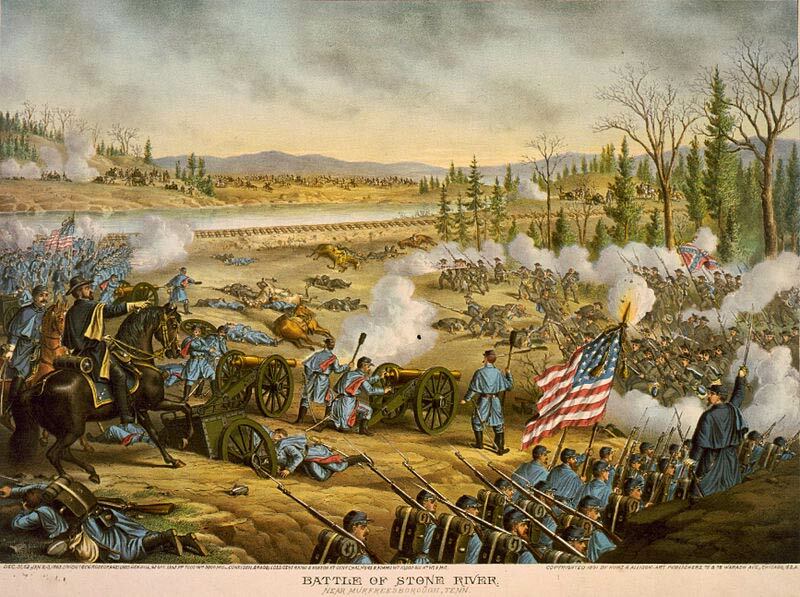 Described as an array of battles in Virginia that were fought between the end of March 1865 and early April 1865. It is seen as the campaign that led to the eventual surrender of the Army of Northern Virginia and thus leading to the end of the civil war. Apr 9. General Lee of the Confederates surrender to General Grant of the Union at the Appomattox Court House in Virginia, thus ending the Civil War. Apr 14. 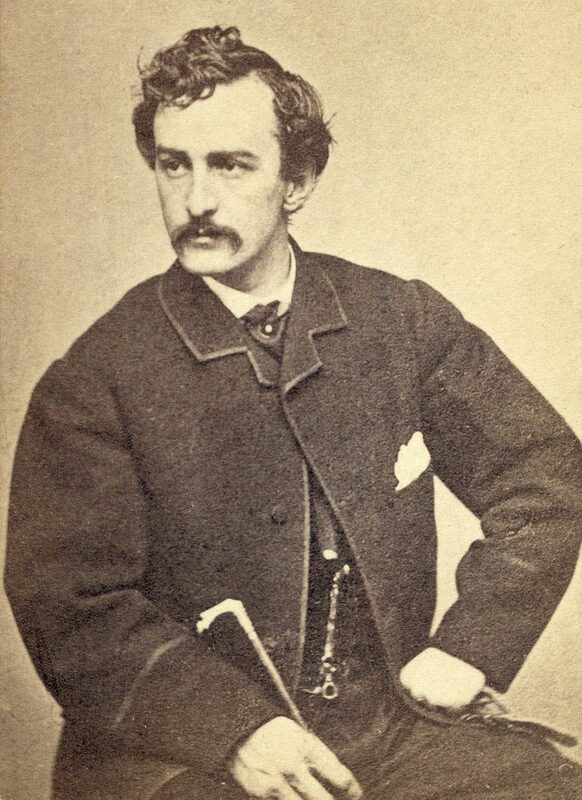 Abraham Lincoln is assassinated by actor John Wilkes Booth at Ford’s Theater. Apr 15. Andrew Johnson is inaugurated as President. Apr 26. John Wilkes Booth is found and gunned down in a tobacco barn. May 9. President Johnson officially ended the American Civil War. May 10. 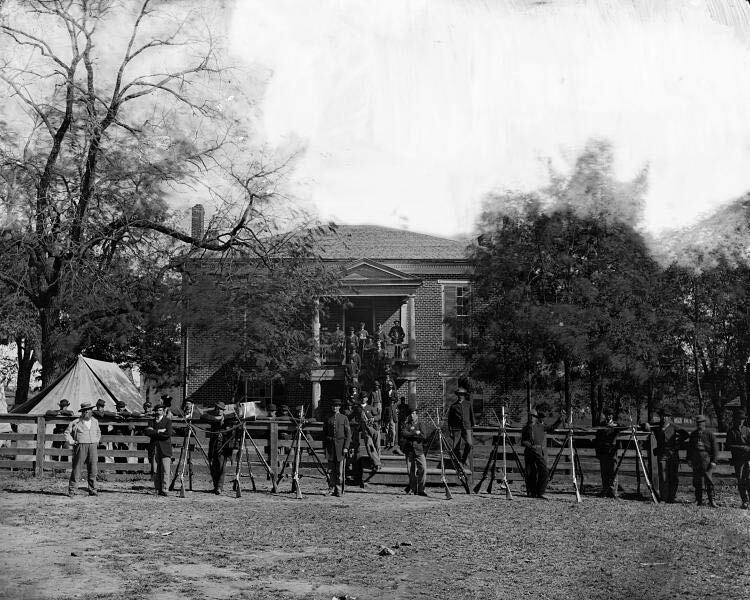 The Union capture Confederate president Jefferson Davis in Irwinsville, Georgia and is taken prisoner. May 26. 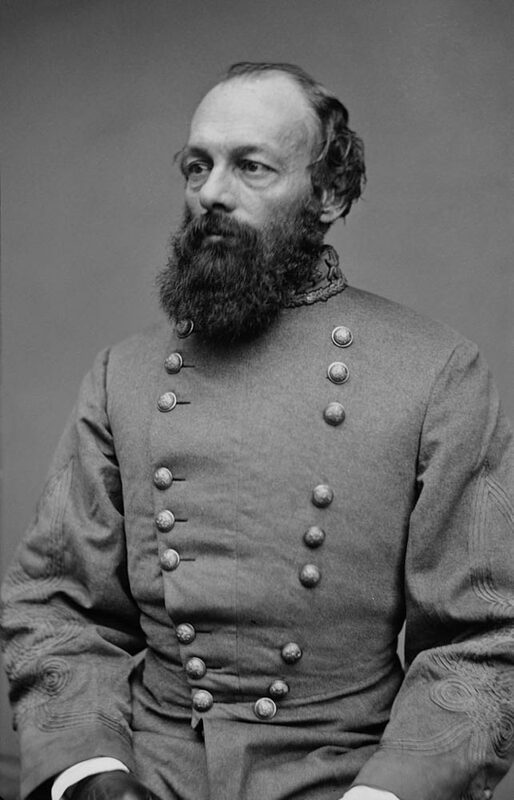 General Edmund Kirby Smith, commander of the Trans-Mississippi Department, is given the the terms of surrender by the Confederation. He accepts the terms on June 2 which officially ends Confederate resistance. Jun 30. Eight conspirators related to the assassination of President Lincoln stand trial. Four of them are executed by hanging for their role in the conspiracy. Those hanged were George Atzerodt, David Herold, Lewis Powell, and Mary Surratt.